[...]Lea Michele's scenes are mainly with Kutcher, who has been making headlines following his split with Demi Moore. The 25-year-old actress also recently revealed that she has split from her beau, the Broadway actor Theo Stockman. Although she has also been quick to state that they remain on amicable terms. Playing in a star-laden ensemble is a smart move for the actress to make as she starts slowly to think of a post-Glee career. In New Year's Eve, the attention will not just be on her – there is none of the focus that would have come had she played a leading lady. She's already got the gift of the gab when it comes to movie promotion by talking up her on-screen kiss with Kutcher and revealing how one day on set he flashed her. The actress saw the incident as funny. Indeed, when I meet her she displays a propensity to see the funny side in almost everything that has gone on in her life, ever since Glee creator Ryan Murphy saw Michele working on the Broadway show Spring Awakening and began writing the part of Rachel Berry for her. Now Glee is an institution. As well as the shows being watched by millions around the world, the songs and albums have become best-sellers, and the concerts sell out around the globe. Indeed, the London leg of the show this past summer made much out of the fact that songs sung by the motley crew of McKinley High School students have had more singles in the top 100 of the American Billboard chart than Elvis Presley, who previously held the record with 108 singles. 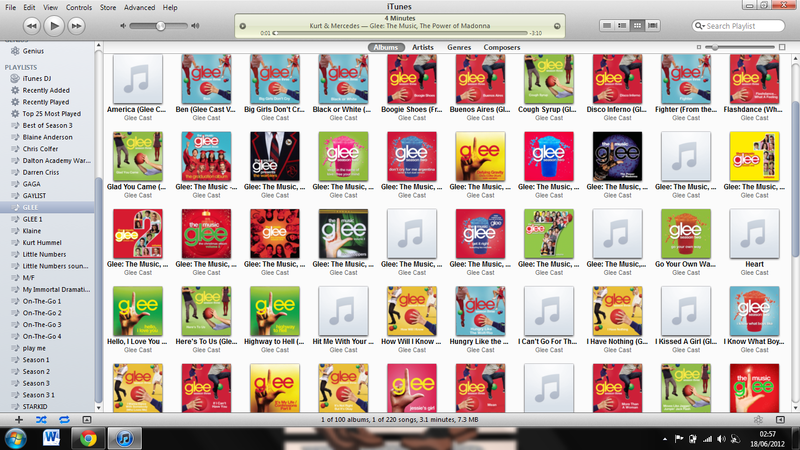 Of course, the major caveat is that the Glee cast only record cover versions. Michele specialises in the songs of a fellow New Yorker, Barbra Streisand. Given that the part of Berry was written for the Bronx-born actress, it's perhaps no surprise that Michele admits she and Rachel have many similar personality traits. "I think we share more characteristics with our on-screen roles than we are willing to admit sometimes. I am a big Streisand fan, I come from Broadway and I love performing on stage, very similar to Rachel," she state. "But not only that, I understand her drive. If you watch the show, and the last two episodes of Season 2, she says 'I'm going to New York and I'm going to be a performer.' And I was and am very much like that. Very just driven and on the path of knowing what I wanted to be." She continues: "I knew what I wanted to be and I didn't let other people influence me or change who I was to fit a certain mould. Like getting a nose job, for example. I didn't want to get a nose job, because other people said you should, because everyone else in my high school [Tenafly High School in New Jersey] was doing it, and that's what I love most about Rachel and what I can relate to." Her nose has become a bit of a trademark. She claims that her mother, Edith, an Italian American Roman Catholic nurse, would always tell her growing up that Streisand never went under a knife so nor should she. She calls Italians "My people" despite her father, Marc Sarfati, a delicatessen owner, being of Spanish-Sephardic Jewish origin. The actress faced more difficult questions about another body part when her weight seemed to nosedive in 2010 and talk of her being an anorexic began to surface. However, a year on and in person she doesn't look thinner than any other actress in a strenuous role. Michele puts the weight loss down to a jaw operation. Of course, there is nothing wrong with the nose of the dark-haired star, one of Glee's poster girls. She says that filming in LA and being away from the Empire State is the only drawback to her career on Glee. "The only hard thing about my job is that I'm a New Yorker through and through, and my family is from there so filming in New York is always my wish." Her parents encouraged her at a young age. She attended Stagedoor Manor in the Catskills, of which Robert Downey Jr is a former alumnus, and she landed her first part on Broadway at the age of eight, as a replacement young Cosette in Les Misérables. Having also appeared in Ragtime and Fidler on the Roof, her love of Broadway is clearly stronger than her love of film. She admits that one of the highlights of working on Glee was "New York", the episode filmed on the stage of Wicked. "We were crazy kleptomaniacs running around thinking what can we steal. We couldn't because everything was massive or chained down, they probably knew that we were coming," she chimes. "I found a broom and I was riding around and they couldn't get the broom out of my hand." 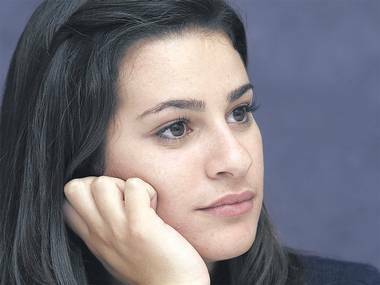 With filming of Season 3 due to end in 2012, the big question is what will happen to Lea Michele. Ryan Murphy has revealed that the character will graduate. At first, the assumption was that Michele would leave the show, although this has been retracted somewhat with a statement that, although they will graduate from high school, that will not necessarily mean the end for the characters. Like the rest of the cast, Michele is extremely careful not to reveal any plot points or secrets of the show, stating that they only know what is going to happen when they receive the scripts. Rachel on Glee is named after Rachel from Friends, a part played by Jennifer Aniston. The New Yorker need only look at the rollercoaster movie career of Aniston for a warning of how difficult the transition to the silver screen can be for a TV star. 'New Year's Eve' is out 8 December.